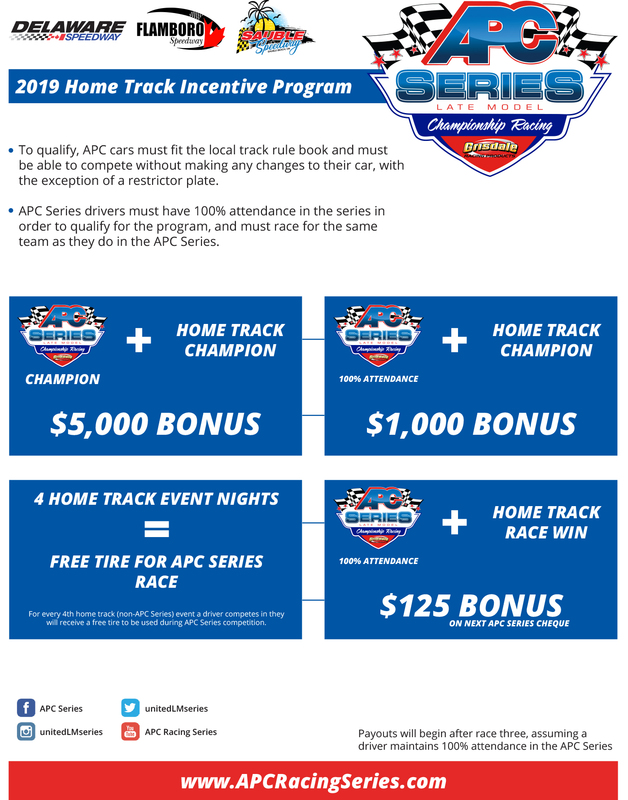 LONDON, ON – APC Series management is proud to unveil a home track incentive program that will reward race teams for competing full-time with the series in 2019 as well as participating in home track events at Delaware Speedway, Flamboro Speedway, and Sauble Speedway in their Pro Late Model divisions. The program is designed to offer drivers rewards for on-track success as well as commitment through free tires and cash bonuses. To qualify for the program APC cars must fit the local track rule book and must be able to compete without making any changes to their car, with the exception of a restrictor plate. APC Series drivers must have 100% attendance in the series in order to qualify for the program and must race for the same team as they do in the APC Series.